If you couldn't tell already...I'm sure you can figure out today that I am in love with using foil on my cards. 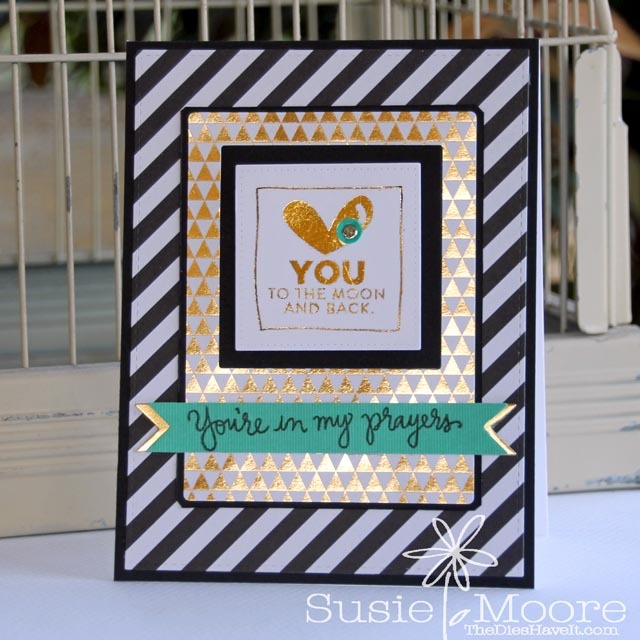 The gold foil paper is from Teresa Collins. I have been hoarding it because I like it so much - so I can just use little bits of it at a time. The gold foiled heart and sentiment is a digital image that I foiled myself. I added the sequin and gold circle sticker to finish it off. I'll probably take a tiny break before I use foil again...but not too long. I'm sort of addicted! !